Entering the real estate market anywhere, whether it be Toronto, Canada or Irvine, California, can be a stressful time. We know. We're the experts. What you may not know, however, is that it doesn't have to be this way. If you properly prepare and inform yourself about the city and its real estate market, the whole process goes much more smoothly. To that end, we, the real estate agents of Irvine, CA, have created this website. It is chock full of information on Irvine, tips for buyers, advice for sellers, and general market trends. This website is a great place to begin your preparatory research, so take your time and familiarize yourself with its contents. Incorporated in December of 1971, the city of Irvine, California was no former Spanish settlement turned agricultural village that grew into a Los Angeles suburb. Designed by architect William Pereira and funded by the Irvine Company, Irvine, CA was designed for comfort, sustainability, and success from the ground up. As the over 200,000 people who currently call the city home will attest, their plan was a complete success. In fact, Irvine was recently recognized as one of the best places to live in the country by CNN Money magazine. To ensure that their plan for the city would be sustainable, the designers incorporated acres of commercially zoned land for retail and industry. This has proved attractive to technology companies and start-ups, which have helped to make Irvine, CA one of the fastest growing job markets in the state. The centerpiece of the economy is education, however. The University of California, Irvine is the largest employer and symbolically occupies the position at the center of the city. Other economic activities in Irvine include textile and aircraft component manufacturing, real estate, health care, and media. 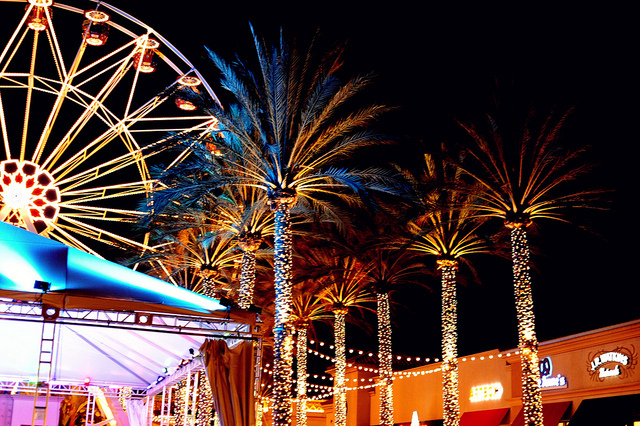 Quiet living rather than tourism is the focus for Irvine, California but there are still plenty of things to do for entertainment. They city's layout incorporates numerous parks that are perfect for walking, biking, and playing outdoor sports. Local recreation centers offer classes in everything from painting to Pilates and each year in October the city also hosts a Global Village Festival that features food, activities, and shows from fifty cultures. If you go shopping for a home in Irvine, California you will quickly notice that it is a city unlike any others you may have looked at before. The main streets are six lanes wide and converge on the university like the spokes on a bicycle. There's landscaping, symmetry, and it makes sense! Neighborhoods are called Villages and they have relatively spacious homes, their own schools, stores, and churches. Some, like the older Northwood, have homes that are distinct from one another, while newer ones like West Park are more uniform due to being administered by a homeowners' association. The styles of home you'll find in Irvine vary but tend to be homogenous within Villages, as many are based upon a certain architectural theme. The styles of architecture you'll find include Spanish Colonial, Neo-eclectic, Moroccan, Contemporary, Spanish Mission, Craftsman bungalow, Tuscan, French Colonial, Atlantic Coast, Mediterranean, and Futuristic. Home offerings are weighted towards but not limited to single family detached dwellings. Within each village there are usually some condo complexes or apartment buildings that appeal to single people and smaller families. Home values are doing well in Irvine, CA despite the recession. The median sale price has climbed recently to $555,000 while the average listing price hovers around $920,000. Prices differ significantly between neighborhoods. Woodbury, Portola Springs, and Turtle Rock are three villages that are popular with buyers at present. They list at $417,000, $752,000 and $1,885,000 respectively. The cost of living is also high, about 40 points above the United States average (which is about on par for Southern California). For more information visit here http://www.dondds.com. irvinecitycomplex is using Hatena Blog. Would you like to try it too?